Home > Uncategorized > Solid State Lighting; What Does it Do? Solid State Lighting; What Does it Do? Light, without a doubt, is very important for us, most especially in our day-to-day life. Aside from the sun that allows us to see the beauty of the world, there are some other light sources, like lasers, LED’s, and many more. All of these are beneficial for us in various things that we do. Another important source of light is Solid State Lighting. Solid State Lighting: What is this? There is actually a huge substitute in using gas, electrical filaments, or plasma lighting, for instance; LEDs. LEDs are the main components of Solid State Lighting, especially with regards to the illumination source. Some other types of LEDs, which are now utilising this particular type of lighting, are the OLEDs or organic light emitting diodes, and the PLEDs or Polymer light emitting diode. 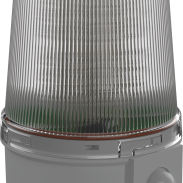 Initially, LEDs are intended to be an indicator lamp for a radio transmitter, clock radios, and various television sets. However, with the constant evolution, Solid State Lighting systems are now used in the traffic lights, parking lot lights, street lights, electronic billboards, as well as in vehicle lighting. Furthermore, they are also present in flashlights that we use, cameras, and some other outdoor and indoor lighting devices. Solid State Lighting: What Are Its Types? PLED or Polymer Light Emitting Diode: This particular semiconductor device is also popular as the polyLED. It uses the polymer and two of the main families of the OLED. The PLED has the capacity making a spectrum that’s full-colour. Not only that, it also has an adjustable light from a bright light to dim one, and it also has a longer operating life. It is also much simpler and cheaper. LED or Light Emitting Diode: This device may generate light if an electric current passes through it. If you apply a certain voltage, it will permit the electrons to re-join with the electric holes. Furthermore, it discharges energy that is known as the protons, which are responsible for the production of light. OLED or Organic Light Emitting Diode: This semiconductor device actually has some flat light emitting properties. The organic thin films in between the two electrons create the light when an electric current passes through. Moreover, the digital displays that we see in televisions, mobile phones, computers, etc., actually use OLEDs. It is in fact, the only device, which may produce flexible, large area, adjustable, and transparent colour lighting panels. Solid State Lighting: What Does it Do? Solid State Lighting is capable of producing a visible light that has less heat generation, as well as energy dissipation. Furthermore, its own electroluminescence is capable of releasing the light that is usually known as the solid state. With the use of the photoluminescence, the light emitting diodes change the blue light from the solid state device to a white spectrum. The solid-state lighting device is capable of creating a greater resistance to shock and the vibration compared to the incandescent lighting. In various types of industries, Solid State Lighting is now replacing standard lighting. 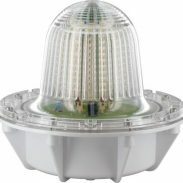 In fact, it is now a new and innovative technology, which is essential for the continuous improvements in the lighting effectiveness and efficiency. Furthermore, it also has the likelihood of a much longer life usage. Solid State Lighting: What Are its Benefits? The OLEDs are flexible and flat, thus making it great for certain applications. LEDs don’t have any filaments and may endure vibration. The size of the LEDs are small enough to fit into tight spaces. The LED systems are harmless due to low voltage, which is not that hot to touch. The LEDs may be adjusted to whatever colour appearances. The LED may last for about 50,000 hours, or even more than that. The LED lighting system is capable of providing three or more times the efficiency that the standard lighting is capable of producing. We know that technology has given us the opportunity to invent more valuable things. It is capable of making our jobs much easier and lighter if we use it in a proper way. Even though it makes us quite lazy, the nonstop progress in technology is a great thing for us. Solid State Lighting devices that use the LED technology are actually the newest ways to the light area, which need light adjustments. They can be bright or low, whichever we require. The use of LEDs may be a guarantee to the users of a longer lasting functionality that has efficiency and effectiveness.